It might have been the shot of rain we got on Monday or maybe it’s the fact that I’ve been having to turn on the heater in my truck each morning, but this week’s weather has made me realize that I neglected to mention something in last week’s column on fall fishing options www.bdoutdoors.com/article/fall-fishing. You need to plan your trips around the weather. Unlike during the warmer months, when you can just pick a day to go out and target a particular species with good chances of success, you’re going to need to be a little more strategic if you want to catch fish during the fall and winter. Aside from the obvious weather adjustment of staying home when it’s raining or blowing thirty knots, let’s take a look at some of our fall and winter weather patterns and what they mean to fishermen. Fish need to feed throughout the year in order to survive, so the theory that certain species of non-migratory fish don’t bite when the water is cold is incorrect. The reality is that when the water gets cold, the fish’s metabolism slows down and they don’t need to feed as frequently. But while there may be fewer fish interested in feeding on any given day, certain weather conditions will prompt more fish to bite on certain days. The trick is to use weather forecasts to figure out when particular species should be biting and schedule your trips accordingly. Stable water temperatures make for happy and hungry fish and stable water temperatures come from stable weather. If you can string together five or six days of stable weather, even if it’s cold weather but without wind, during the fall and winter months, you can be sure that the fish are going to be biting somewhere. If you find biting fish during a period of stable weather, you can expect those fish to continue biting until the next front pushes through. A great target during these stable periods is sand bass on deep water structure. Some of the best fishing I’ve ever had on sand bass has been in January and February, despite the fact that the water temps were in the fifties. Another advantage of the stable weather is that you can fish them all day long without having to fight the afternoon winds that you normally experience in the summer months. 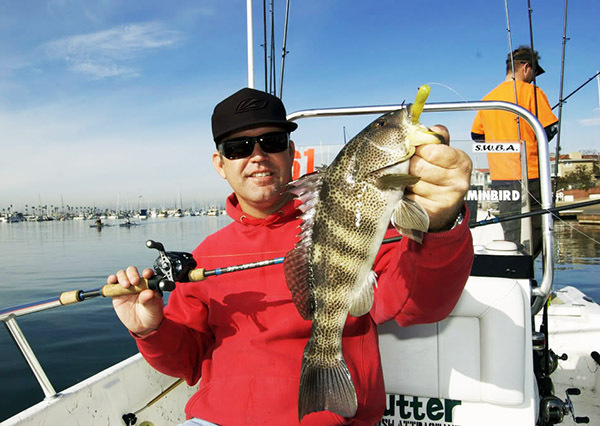 Another good option is calico bass in the kelp, but you’ll probably have to fish vertically to catch them. 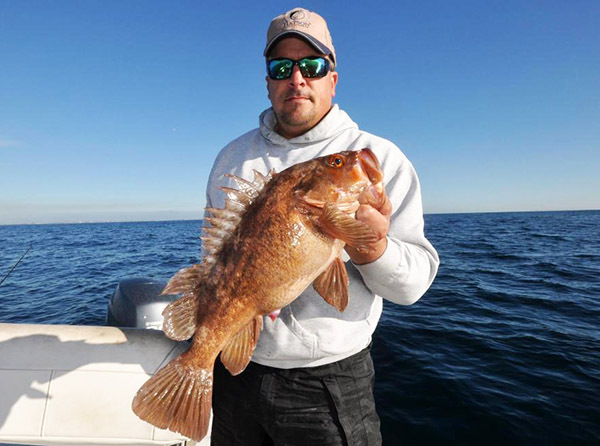 You can also target rockfish, halibut and spotted bay bass during these periods, but the spotty bite can be tough on cold days with a blue bird sky. 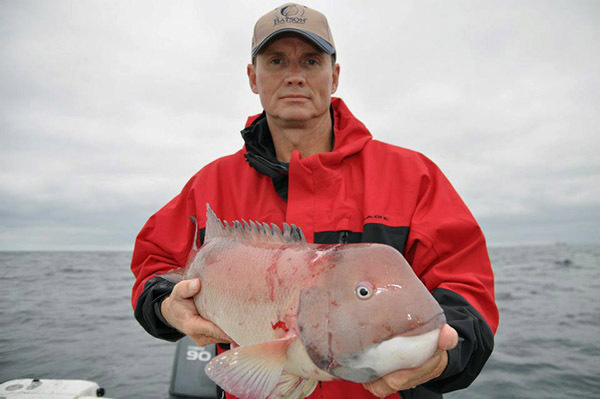 Though a dropping barometer doesn’t have quite as dramatic an effect in saltwater as it does for freshwater species, prefrontal conditions will usually prompt some sort of bite. My theory is that fish can sense the change in barometric pressure and associate it with an upcoming drop in water temperatures, prompting them to feed before the change. Right or wrong, it makes sense to get out fishing before a storm because the fishing probably won’t be all that great in the days following it. Unlike the calm before the storm, the calm after the storm rarely makes for good fishing. Rain isn’t usually a big factor in Southern California, but if there was any significant wind associated with the storm, you can forget about any shallow water bites you had going prior to its arrival. If you can, give the water a few days to settle down before you head out. 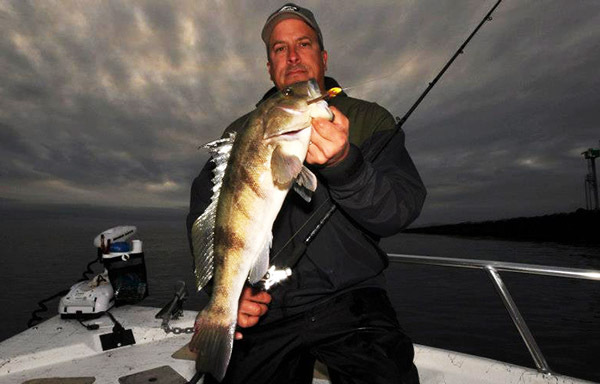 If you’re dying to fish right after a storm rolls through, your best options are spotted bay bass and rockfish. The bays that spotties call home are usually protected from the brunt of the wind. And the run-off from the rain washes delicious things into the water that will often prompt the spotties to bite better following a storm. Rockfish are also protected from wind driven water temperature swings because of the depths at which they live and should be biting just fine after a storm rolls through. At some point each winter, the strong Santa Ana’s will blow. While they don’t have much of an effect on water temperatures, they can have a huge effect on conditions along the coast. If there are strong Santa Ana’s in the forecast, plan on avoiding the bays and coast because you’re going to be fighting the wind all day. Instead, make a run out to one of the islands and don’t worry if it’s rough when you first head out, the further you run the calmer it will get. 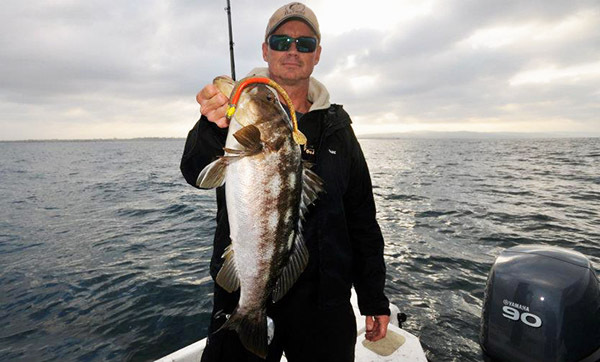 San Clemente Island calico bass fishing can be good if there has been some stable weather leading up to the Santa Ana’s and if not, there’s always rockfish to fall back on out there. 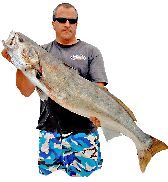 Other choices include the outer Channel Islands for big rockfish or Catalina or Santa Barbara Islands for a shot at a winter time exotic. There are a lot of minor variations to these weather patterns, but just paying attention to these four will be a good place to start. Whenever you fish, try to associate what’s happening weather-wise with what’s happening fishing-wise. By doing so you’ll be able to make educated guesses at when, where and for which species you should be fishing during the cold water months.